Tobermory is a nature lovers Nirvana found at the tip of Ontario’s Bruce Peninsula – a jut of land dividing Georgian Bay and Lake Huron. A calling for naturalists, photographers, hikers, cyclists, campers, boaters and scuba divers. 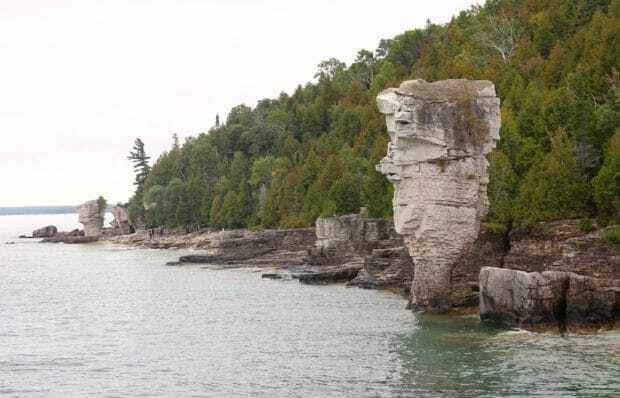 It makes up the core of the UNESCO Niagara Escarpment World Biosphere and is home to the picturesque Bruce Peninsula National Park and Fathom Five National Marine Park. 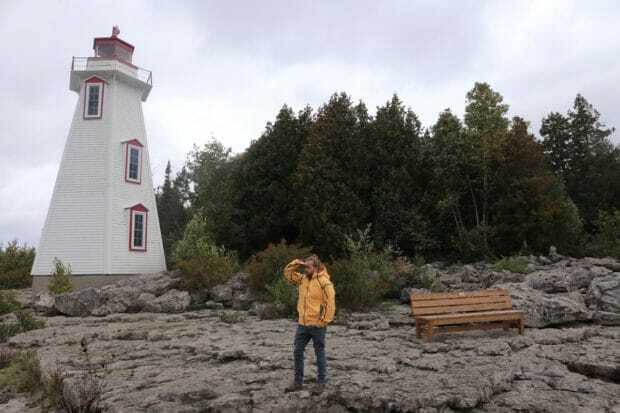 Tobermory offers the perfect weekend away for father and son, an epic mens retreat featuring unforgettable hikes, sweet sailing, on point pub grub and a stellar craft brewery where each days adventures are best washed away with a sud-sloshed cheers. 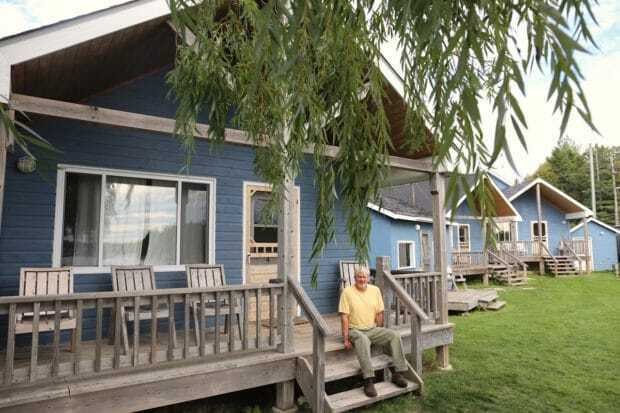 Tobermory may be best known for its plethora of campsites but for those who are more keen to rest their head on a pillow and have access to kitchen, bath and bed Wireless Bay Cottages is your best bet. Located a short drive from Tobermory’s Little Tub Harbour, Wireless Bay’s seven waterfront cottages share a choir of barbeques, booming fire pit, dock and beach area (perfect for soaking up the sunset). 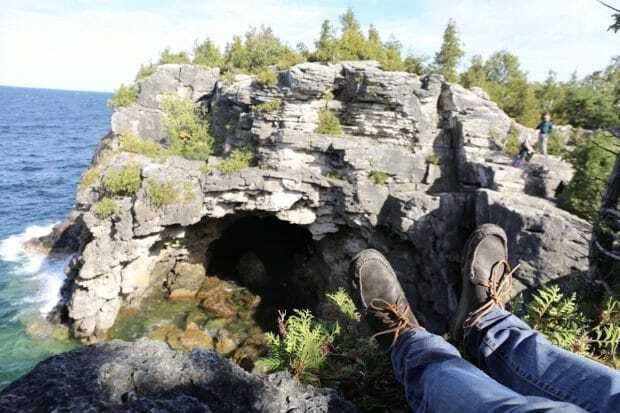 The 140 km Bruce Peninsula National Park feature stunning shoreline cliffs which are part of the Niagara Escarpment, which in many places have eroded to create caves, unusual rock shapes and overhangs. The Bruce Trail follows the shoreline climbing up 40 metre high cliffs providing some of the best hiking and scenic lookouts in Ontario. At Cyprus Lake enjoy a 20 minute hike through the largest block of contiguous forest in southwestern Ontario before arriving at the Grotto. In the summer this is the place to be, as tan fans rest on jagged rocks and water babies swim in refreshing turquoise waters. Enjoy a short stroll from the Grotto and you’ll find picturesque Indian Cove Beach. Photographers like to hide out in the bushes here as waves crash at their feet to snap the perfect panorama. Fun Fact: The Bruce Peninsula is home to over 43 species of orchids and also hosts a huge wave of migrating birds – from Blackburnian Warblers to Rough-legged Hawks. Be sure to to survey the scene as you hike around here – you might just find a fragrant flower under your toes or hooting heron on a branch above. 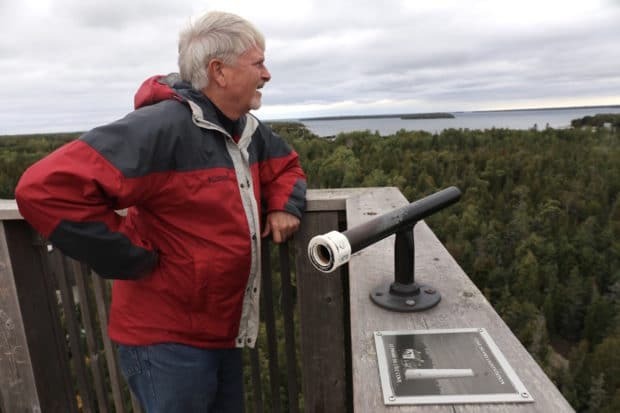 Drive down to the Bruce Peninsula National Park Visitor Centre and hike up 112 steps to the top of a 20-meter tower which offers stunning views of The Bruce. 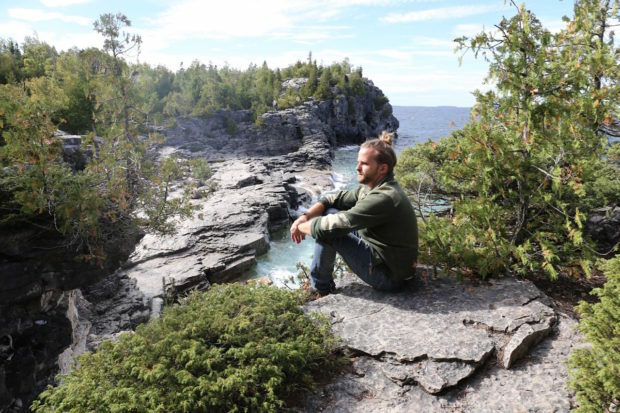 You can easily dedicate a few hours here, best spent hiking a meandering trail to Georgian Bay, sitting in a theatre to get a sneak peak of special places in the park via high def film Life on the Edge or by exploring an impressive exhibit gallery which covers the regions unique ecology and fishing history. The remains of two vessels, the Sweepstakes and the City of Grand Rapids, are located in shallow water at the head of Big Tub Harbour. 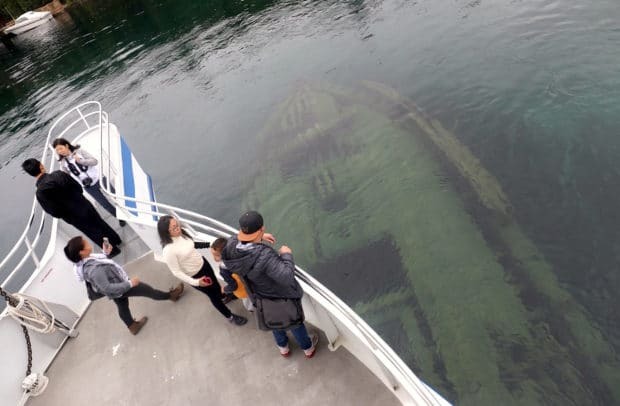 Hop on a tour of Fathom Five National Marine Park with Blue Heron Cruises and you’ll be able to see the wreckage through the boats glass bottom or by simply peering overboard. This 200 hectare island gets its name from two unusual rock formations on its eastern shore. It is the only island in Fathom Five with hiking trails and campsites. The trail leads to a large cave and light station while a viewing platform offers a panoramic view of Georgian Bay. 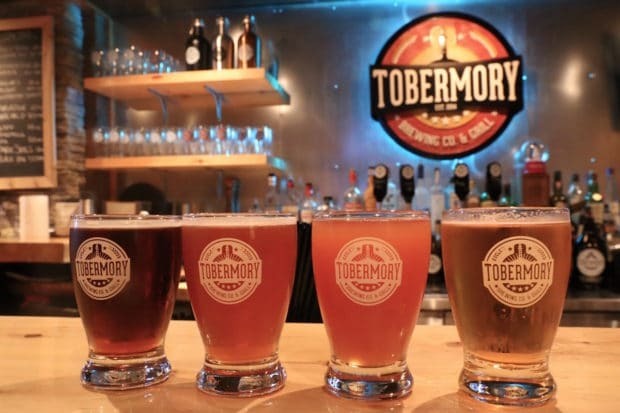 Overlooking the harbour, Tobermory Brewing Company offers the regions finest upscale dinning, featuring a menu where locally sourced food is paired with brewmaster Morag Kloez’s sweet suds. If the weather’s warm grab a seat on the pretty patio or if you’re looking for a more formal affair grab a table inside. You’ll find yourself enjoying a fine feast surrounded by an army of stainless steel brew tanks. Nibble your way through tender Baby Back Ribs, Organic Manitoulin Rainbow Trout or epic 180z Porter House Steak while sipping through a tasting flight featuring the freshest brews on The Bruce. Big Tub Lighthouse stands on the mainland, marking the entrance of Tobermory’s natural harbour. Prior to its construction in 1885, Tobermory’s first settler James Earl, hung a lantern atop a pole to guide the schooners into the harbour. A weather vane chimney sits atop the light, left over from the days of the coal oil lantern. Scuba divers are often seen near the lighthouse, exploring the 15 metre underwater cliffs. Featuring Tobermory’s largest patio, The Fish & Chips Place is the place to be on a hot summers day. 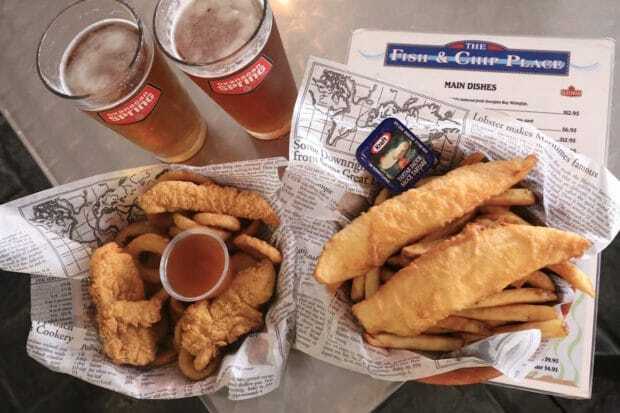 The kitchen specializes in all things deep fried, from classic Fish & Chips to crispy chicken tenders, sweet onion rings and stringy poutine. Best enjoyed over a pint (or two or three). If you’re a coffee fan who has a penchant for sweet things make a daily visit each morning to Little Tub Bakery. 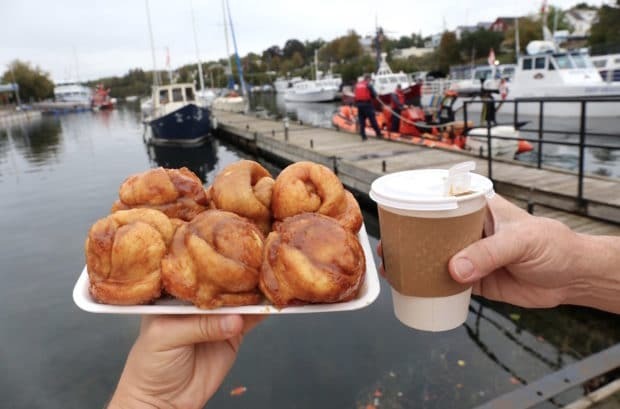 Grab a freshly brewed cup, selection of sweet sticky buns, butter tarts and muffins and drive them down to the harbour where you can sit on a bench and wake up to the world while perched over a gaggle of tug boats and yachts. 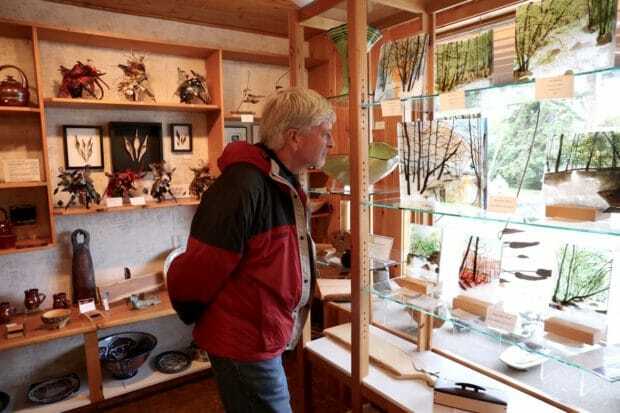 Circle Arts represents some of Canada’s finest artists and artisans, many of whom are inspired by the unique energy, spirit and landscape of Georgian Bay and the Bruce Peninsula. The two-storey gallery overlooks the harbour and features artwork, jewellery, ceramic, glass, photography and sculpture. If you’re looking for the ultimate pub grub head to local fav, The Crowsnest. In the summer you’ll find musicians crooning hungry crowds on a patio which overlooks the harbour. 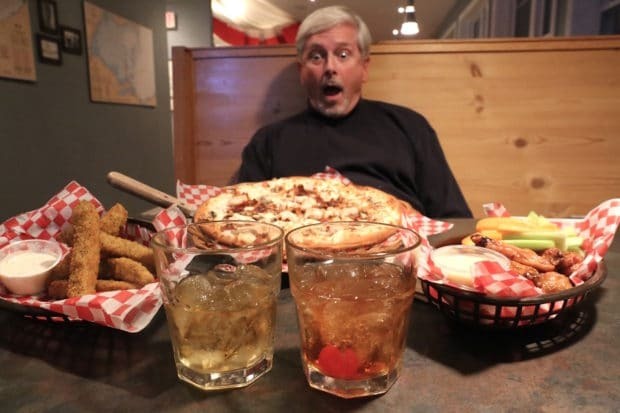 Inside, the spacious dinning room feels a bit like a sports bar meets pizzeria as hockey and baseball fans gawk excitedly at flat screen TVs while stuffing their faces with deep fried pickles, BBQ wings and stringy mozzarella topped pizza. Yessss, Tobermory is THE best. Great list. I’m 8 out of 12 so far and LOVE the Bruce Peninsula !!!! We’ll be back in 2017!! Remember the fragile ecosystem, take only pictures leave only footprints.